If you've ever rented a car, you know one question you always have to answer before you receive your rental contract and car keys is: "Would you like to purchase insurance coverage?" At this point, according to the National Association of Insurance Commissioners (NAIC), 66 percent of customers decline the offer. For the most part, rental car drivers turn down the coverage because it seems prohibitively expensive and/or unnecessary. After all, the change of anything happening to the car is slim, and your primary insurer and credit card company will protect you if it does, right? In reality, that isn't always the case. While your primary insurance policy and credit card can provide sufficient rental car coverage in many situations, they also frequently fall short. The majority of major auto insurance carriers will cover drivers for losses sustained in a rental vehicle, but not all policies will do so. Before you rent a car, review your primary policy or contact your insurance agent to discuss what damages your policy would cover and what, if any, costs would be left to you. With most policies, the coverage will pay for actual repairs to the vehicle, but you will still be responsible for your policy deductibles ($500-$1,000 in most cases), any towing or administrative fees, and possible loss-of-use fees. Rental car companies charge loss-of-use fees for every day they cannot rent out the damaged vehicles due to ongoing repair work. These costs can quickly add up, which is why rental car insurance may appeal to some customers. Your auto insurer will be billed first. The credit card company is your second line of defense after your primary insurance carrier. Not all credit card companies offer rental insurance. Visa and Diners Club cards, for example, almost always offer rental auto insurance, but other companies only do so for elite cardholders. With certain card issuers, such as American Express, any cardholder can purchase relatively affordable rental coverage for a limited rental period. Reimbursement may not come quickly. Getting a rental car repair bill paid by coordinating with an insurance company and a credit card company can be a trying and time-consuming process, which means you may not be reimbursed for out-of-pocket payments for months. If the two coverage methods mentioned above seem inadequate for your needs, you might want to consider rental car insurance coverage. Major rental car companies typically offer the following types of rental car insurance policies: personal accident insurance, supplemental liability insurance, personal belongings protection, and a loss damage waiver. For a basic loss damage waiver rental insurance policy, you can expect to pay about $10-$25 per day depending on the rental company. Additional protections will increase that charge. 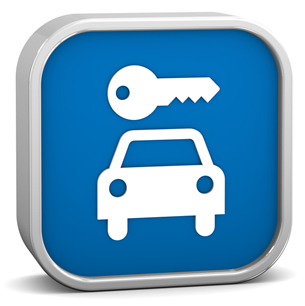 Keep in mind that insurance for rental cars can help pick up where your primary policy leaves off. For instance, most primary auto insurance policies will not cover a rental car if it is used for business purposes, rented in a foreign country, driven long term, or falls into an excluded class of vehicle, such as a truck.